City offices will be closed on Monday, February 18, in observance of Presidents' Day. Regular business hours will resume on Tuesday, February 19, from 8:00 am to 5:00 pm. 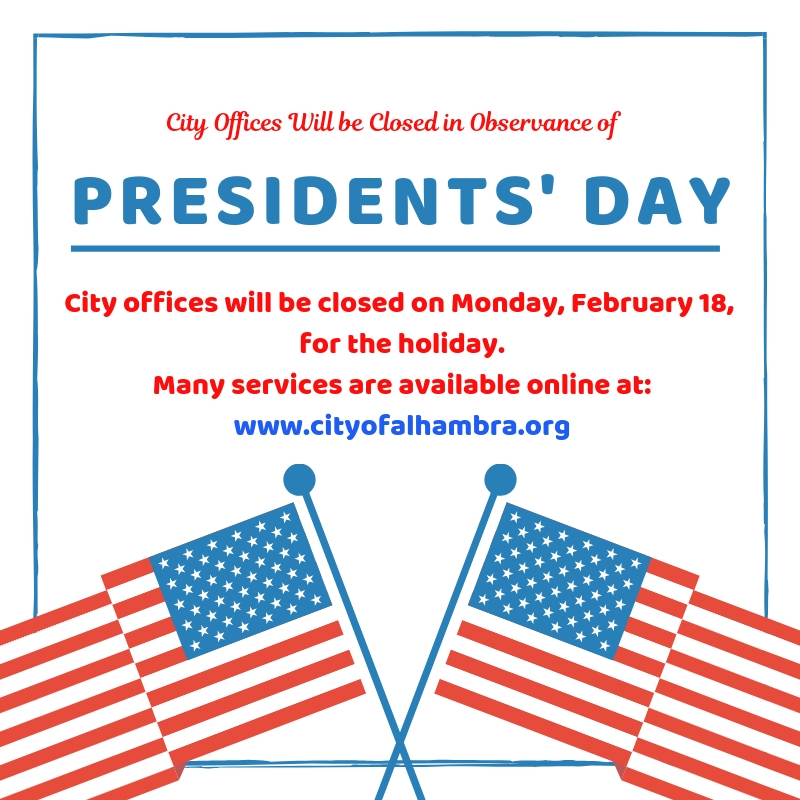 While City offices are closed, most City services can be found online by visiting the City's website at www.cityofalhambra.org. Overnight parking, street sweeping and City lot enforcement will be suspended on Monday, February 18. Parking enforcement will resume on Tuesday, February 19, beginning at 2:00 AM. Please note, trash service will run as normally scheduled. Please place your containers curbside on your regularly scheduled service day.